IRELAND REJOINING the Commonwealth would bring “nothing but benefits” and the idea should not offend anyone, according to journalist and former diplomat Eamon Delaney. Addressing the Reform Group in Dublin yesterday, which was Commonwealth Day, Mr Delaney said there were compelling reasons why Ireland should rejoin the group of nations it left in 1949. Commonwealth Day speech by Cyrus Rustomjee, Director of Economic Affairs Division, Commonwealth Secretariat, London, at the Royal Irish Academy. Marking Commonwealth Day 14th March 2011. The Commonwealth is not a topic discussed very much in the media or among the chattering classes since the parting of the ways in 1949. Profound changes occurred since then … we are partners with the UK in the EU for many years; Ireland has been closely involved with her neighbour in the NI peace process and we share many common interests in cultural, sporting and commercial matters. There are 54 countries (32 of them republics) in the Commonwealth. Recently South Africa, Mozambique and Rwanda have been accepted as members. They all share policies such as democracy, independent judicatures and universal human rights. All are equal in the Commonwealth. From 1922 onwards this country was to the fore developing and advancing the Commonwealth idea. Eamon de Valera himself regretted the breach in 1949 introduced by the John A. Costello Inter Party government. Nowadays thousands of our fellow citizens live and work in Britain many in senior and professional jobs. Many young Irish women were employed as nurses by the new National Health Service from its inception in 1950. There are 21 million people of Irish descent living in Commonwealth countries. Most townlands and streets here have stories of emigrants in Britain, Australia and Canada. Now more than ever we need strong trading and commercial ties with like minded countries. Since 1949 the grouping is styled merely as the Commonwealth. Its symbolic head is Queen Elizabeth II; when a vacancy occurs it will be filled from among the member states. 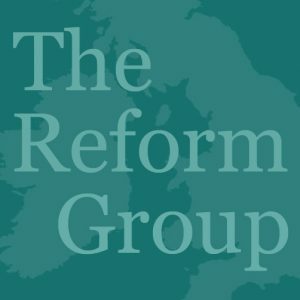 The Reform Group is a non-denominational, non-party body advocating these developments. Founded in Dublin in 1998, it is a small informal grouping discussing matters mainly on the internet. To date no political party has shown much interest in the subject; up North, the Alliance Party and the Loyalists are supportive. There will be a lunch reception in the Royal Irish Academy, Dawson Street, Dublin 2 today on Monday 14th March 2011 to mark Commonwealth Day. As honorary guest Dr Cyrus Rustomjee, Director of the Economic Division, Commonwealth Secretariat, London will address the benefits of membership. Dr Rustomjee is from South Africa and is familiar with the economic advantages of returning (as his country did when Nelson Mandela became president). Mr Eamon Delaney, well known writer and columnist will also speak. The Reform Group published the book ‘Ireland and the Commonwealth: Towards Membership’ in 2010. It contains articles by writers such as Mary Kenny, Roy Garland and John-Paul McCarthy dealing with the stirring history of this period and with personalities like Eamon de Valera, Seán McBride and Clement Atlee. The topic is a contentious one among many but it is fair to say that membership would benefit the country north and south, spreading goodwill throughout the island and would be heartily welcomed by our exiles abroad.